Brock CareerZone Blog: Can't Get Enough of Brock? Consider Spring and Summer Courses! Can't Get Enough of Brock? Consider Spring and Summer Courses! There are many reasons for taking summer courses during the spring and summer terms. I'm personally taking a language course this spring to take the stress off of learning a new language in the fall/winter terms while dealing with the heavy demands of my normal course load. Whatever your reason for taking spring and summer courses, Brock University offers a wide range of classes from all of our faculties to give students the option of continuing their studies into the summer months. Summer courses are a fantastic way to keep busy during the long summer break and to continue stimulating your mind to avoid the difficulty of getting back into 'school mode' in September! It's also a good opportunity to work on your context credits and electives or to take a language that would clash with your normal coursework in the fall and winter terms. Registration for students with 9.0 or more credits register Monday, March 25 and students with less then 9.0 credits register Wednesday, March 27. So plan your classes ahead of time and be sure to meet with your academic adviser to keep your academic plan up to date! 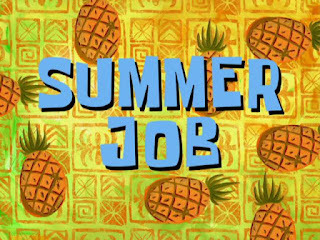 Career Services will be open during the summer months weekdays from 9:00 - 4:00 so be sure to stop by and take a look at our resources and get your resume/cover letter reviewed!